Confucianism is a system of ethical, philosopical, moral, social, political and religious thought based on the teachings on the Chinese philosopher-sage Confucius (551 to 479 BCE). There is some debate about whether Confucianism should be considered as a religion. While it prescribes many rituals, very little of it seems like worship or other religious practices. Additionally, Confucius made some statements, which to modern Western ears, sound distinctly agnostic. On the other hand, Confucian ideas have had effects in East Asian societies which parallel those of religious movements in the West. Furthermore, people follow Confucianism does appear to serve many of the same roles in people's lives as religion does in other cultures. There are believed to be around 150 million followers of Confucianism, the majority of whom live in Eastern China. Additionally, Confucianist thought has had a profound and lasting influence on many Asian cultures. What is the Confucianism religion about? 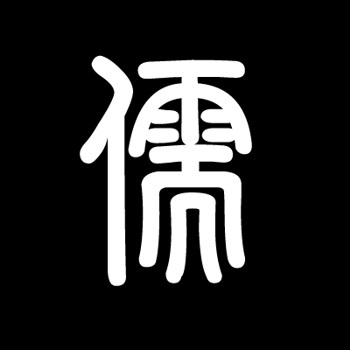 What do Confucianists believe? Famous quotations from Confucius, the Chinese philosopher who founded Confucianism. How many Confucianists are there? Where do they live? Where can I learn more about Confucianism? Kong Fuzi Figure Figurine,Fine Workmanship Handicraft. 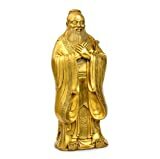 Perfect Statues for Displaying Home,Office or Confucius Institutes / College Desk Decor. Three Sizes for Choice:Small,Medium and Large. Confucius was a Chinese thinker and social philosopher,who teachings and philosophy have deeply influenced Chinese,Korean,Japanese,and Vietnamese thought and life.His philosophy emphasized personal and governmental morality,correctness of social relationships,justice and sincerity. One of the most famous people in ancient China, who was a wise philosopher named Confucius (Kung FuZi) (Circa 551-479 BC),A well known leader in philosophy in ancient China. 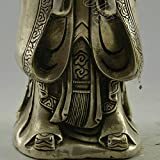 In World Wild,there are many Confucius Institutes, Almost all of the Confucius Statues Kong Fuzi Statues are like this model,Actually it is a Classical and Exquisite Statue. Good Gifts for Student and Teacher. Hello, Dear customer, if you like this product, please do not miss it; if you have any questions, please feel free to contact us, we will answer your questions in the first time. 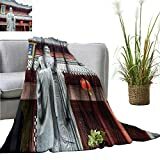 YOYI Bed Blanket Confucius Statue Text Pavilion tr Slat into English Comfortable Home Decor 60"x78"
Made of high quality microfiber polyester.SIZE:60"x78"
Various colors and sizes, being able to meet the needs of different people. Solid color style, simple but elegant. Machine washable, gentle cycle with cold water.easy care, saves you a lot of time and energy and makes your life convenient and easier. This blanket make it simple to relax and unwind under their warmth and comfort. Simply kick back on your couch, bed, sofa or chair and cuddle in on the ultra-soft cozy blankets. 100% microfiber polyester and soft colors bring a calm and elegant touch to any room. The selection of weight is of particular importance for blankets , since heavy weight can compromise the comfort, while light weight can not keep people warm，our blanket can provide warmth and lightness at the same time. Purposefully light weight to meet your traveling needs. Stow it away in your backpack or luggage for ultimate comfort in a car, bus or plane.In addition, the blanket is easy to clean, you can directly toss it in the washing machine.We have a lot of sizes to choose from: 30"x50",35"x60" ,50"x60",60"x63",50"x70",60"x70",60"x78",70"x90".